We landed in San Francisco and hit the ground running. First up were three Phish shows as well as the Grateful Dead Meetup at the Movies. 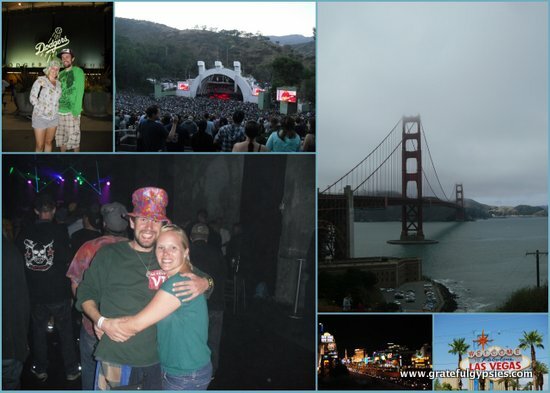 Then it was straight to LA for another Phish show. After the show we had a few days to relax. In that time we celebrated Sasha’s birthday, caught a Dodgers game, went camping in Joshua Tree National Park and kicked it on Venice Beach. From there we took the Megabus to Las Vegas and had fun running around in all the casinos. We rented a car and drove all the way to Denver, stopping along the way and camping at the Grand Canyon, Zion National Park and Bryce Canyon National Park. 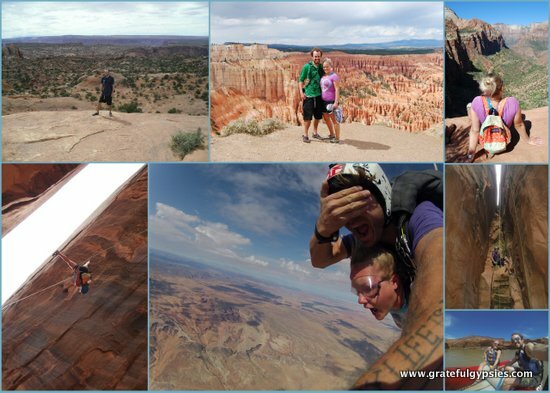 We also spent a few days in Moab, where we saw two more national parks and went skydiving! 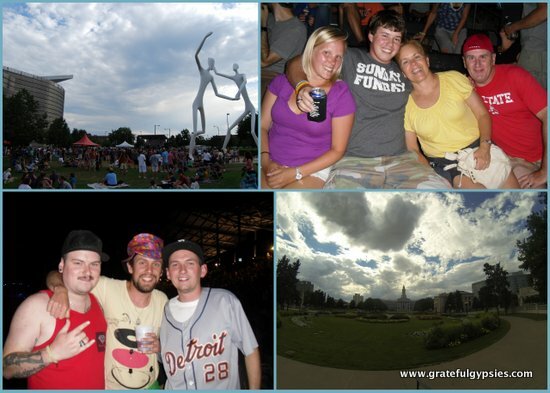 We finally made it to Denver, CO where Rachel’s family joined us for some sightseeing and three more Phish shows. 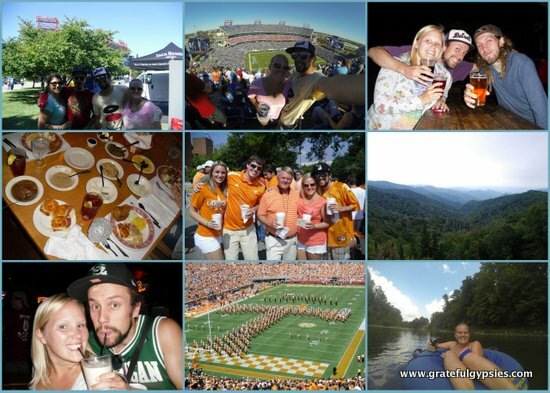 As we were back home in the fall for the first time in years, you know we had to sneak in a few football games! Sasha got to attend his first ever UT game in Knoxville, and we also hit a Titans game in Nashville with friends. More TN and NC fun was had tubing in the river and cruising along the Blue Ridge Parkway. Speaking of firsts, Rachel hit her first Spartan game when we went to East Lansing for Homecoming. It was a family affair with Sasha’s siblings, and it was a great weekend for the boys in Green and White! What time is Panic on? Back in the D, we also got to see and two Tigers playoff games. A little band named Widespread Panic came to town as well, and we had a great time reuniting with old friends. The Megabus is a wonderful mode of transport if you plan ahead for your trip. You can get tickets for as little as $1. So we took advantage of this and went from Detroit > Pittsburgh > Philadelphia > New York City > Boston for $9 each. 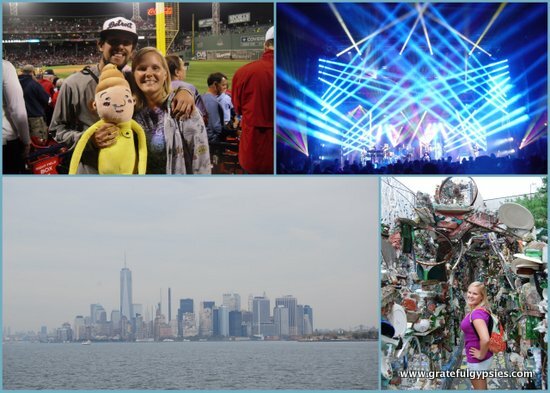 This trip was planned around a little festival in Philly called City Bisco featuring one of our favorite bands, The Disco Biscuits. We also did a bit of sightseeing, caught a few sporting events, and of course ate and drank our way around these famous American cities. Our rock show is no joke. 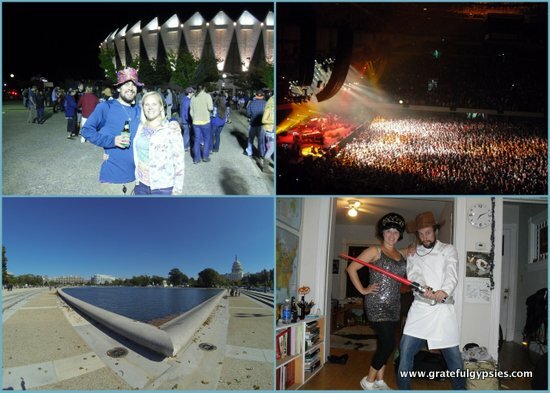 Thanks to Sasha’s awesome parents we drove from Detroit down to Hampton, VA for three more Phish shows and stopped in our nation’s capitol along the way. 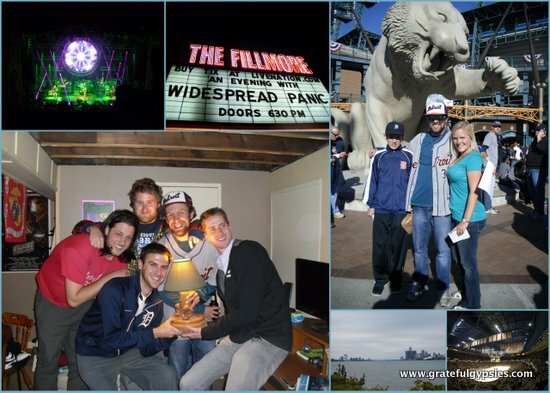 After that we made our way to Chicago and then to Milwaukee for three Umphrey’s shows Halloween weekend. The shows had a mash-up theme, so we went dressed as Luke Sky Walker Texas Ranger and Princess Dianna Ross. After three months back in America we went back to Beijing, packed up the rest of our stuff, said one last goodbye to friends and then moved to Kunming where we put our stuff in storage. From there we took the bus to Vietnam to begin our Banana Pancake Trail adventure. We spent one month traveling from north to south all by land. 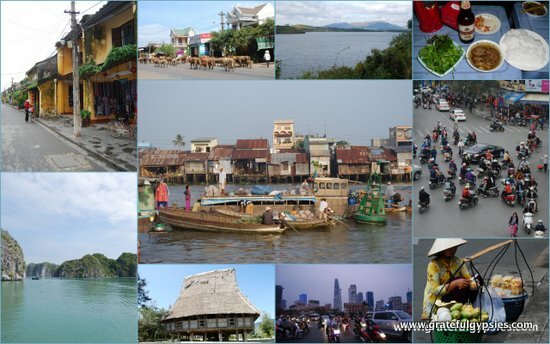 We’ve got you covered if you want more info on backpacking across Vietnam. We used up our full visas for Vietnam and crossed by land into Cambodia in the middle of December. Christmas was spent relaxing on Koh Rong island, while we raged New Year’s Eve in the Cambodian capital of Phnom Penh. Our gap year adventure is just beginning! Continue on to see what we got up to in 2014, including two months in Thailand, our first visit to Myanmar, and getting engaged.